In 1951, China became India‘s neighbour not owing to geography but by annexing Tibet. In recent years China has created conflict zone across the Himalayas especially in Arunachal Pradesh. Arunachal Pradesh is internationally recognized as a state belongs to India. It is influenced by Tibetan, Burmese and Bhutanese culture. China lays its claim on Arunachal Pradesh (AP) on the basis of its cultural similarity with Tibet. It has gone to the extent of citing of birth of 6th Dalai Lama in Tawang District (AP) in 17th century. The irony is that China openly covets AP as a cultural extension to Tibet, thus is a part of China. China‘s claim on Arunachal Pradesh can‘t be driven by insecurity of India‘s rise in Asia rather it can be treated as a classic attempt of incremental annexation. Since 2000, China has been claiming AP (earlier only Tawang) in its entirety and is motivated by its desire to put a stop on Tibetan nationalism which it believes is fueled by support from India. Arunachal Pradesh is also strategically located at the confluence of the international borders of India, China, Myanmar and Bhutan. This extension of territorial claims and increasing aggressions in Arunachal Pradesh, East and South- China sea Islands, indicates a concerted strategy of widening of China‘s sphere of influence and control. The partnership between the two countries has been transformed a lot and it has now become as a ‘special strategic and global partnership’. Japan investors will invest around $2.5 Billion US dollars in India. The two sides agreed for a 2+2 dialogue between our foreign ministers and defence ministers to further work towards world peace. Both countries will cooperate for the first time in the areas of traditional medicinal systems such as Yoga and Ayurveda. This will facilitate a boost in the healthcare in both the countries. Both the countries have agreed to synchronize upon sharing benefits of the Ayushman Bharat scheme and the Japanese healthcare programme. There will be commencement of talks on a military logistics pact, the Acquisition and Cross Servicing Agreement, between the two nations that will ensure the access to each other’s military bases and naval bases. Japan will invest more significantly in the up gradation of infrastructure in the Northeast which will also link India to Southeast Asia. Japan-India Investment Promotion Roadmap enhanced the contribution of Japan in India’s Make in India initiative with establishment of Business Support Centre in Ahmedabad. CPEC is a flagship project as part of China’s multi-billion dollar Belt and Road Initiative (BRI), aimed at enhancing China’s influence around the world through China-funded infrastructure projects. CPEC aims to construct and upgrade transportation network, energy projects, deep-water port at Gwadar and special economic zones (SEZs) to eventually support Pakistan’s industrial development as manufacturing hub by 2030. CPEC will linking Gwadar in South Western Pakistan to China’s North Western region Xinjiang through vast network of highways and railways. Why in news? Pakistan has invited Saudi Arabia to join $50 billion China-Pakistan Economic Corridor (CPEC) as the third strategic partner. Diplomatic ties between India and Cyprus were established in 1962. Cyprus got the support of India during its struggle for independence from British colonial rule. Cyprus is the eighth largest foreign investor in India with a cumulative foreign direct investment of about $9 billion in areas such as financial leasing, stock exchange, auto manufacture, manufacturing industries, real estate, cargo handling, construction, shipping and logistics. The Double Taxation Avoidance Agreement (DTAA) between both the countries was revised in 2016. Bilateral trade between both the countries stood at EUR 76.5 million in 2015. The major commodities exported by India to Cyprus are organic chemicals, vehicles & accessories and iron & steel. India’s main imports are aluminium and its products, wood pulp, machinery, boilers, engines, and plastic. Singapore is second largest trading partner of India within ASEAN and India is largest trading partner of Singapore in South Asia with bilateral trade of US $17.7 billion in 2017-18. India had trade surplus of US $2.73 billion with Singapore in 2017-18. CECA was first comprehensive agreement covering trade in goods, services and investments signed by India with any of its trading partners. It was signed in June, 2005 and its first review was concluded in October, 2007. The second review was started in May 2010. In closing second review, India and Singapore had successfully reached mutual understanding and agreement. They also had agreed to expand coverage of tariff concessions, liberalize Rules of Origin, rationalize Product Specific Rules and include provisions on Certificate of Origin and Cooperation on its verification. The conclusion of second review was announced during state visit of Prime Minister Narendra Modi to Singapore in June, 2018. 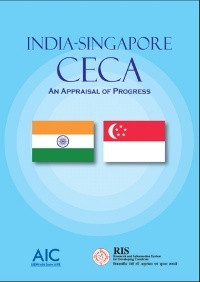 Now, both countries are exploring the possibility of launching the 3rd Review of India-Singapore CECA in September, 2018. India has released additional Rs. 470 million (Nepali) for Phase I of Postal Highway Project being constructed in Southern Plains of Nepal. The amount released will help to maintain fund liquidity for ongoing construction of 14 road packages under Postal Highway Project. India is providing financial assistance to Nepal since 1950 for infrastructure development as part of its multi-sectoral India-Nepal Economic Co-operation Programme. Note: Mention in answers on India-Nepal, India’s role in South Asia, India-Neighbour relations etc. Why is Latin America important for India? In 2016-17, India exported more to Mexico ($3.5 billion) than to neighbours such as Thailand ($3.1 billion), Myanmar ($1.7 billion) and Iran ($2.4 billion) or traditional trade partners Russia ($1.9 billion) and Canada ($2 billion). India’s trade with the Dominican Republic ($900 million) was more than the trade with Portugal, Greece and some other European countries. India beat China in export of pharmaceuticals to Latin America. India’s exports were $651 million in comparison to China’s $404 million in 2016. In fact, in the last five years, India has been exporting more pharma to Latin America than China. The Pacific Alliance is a Latin American trade bloc, formed by Chile, Colombia, Mexico and Peru, which all border the Pacific Ocean. These countries have come together to form an area of integration with the purpose of ensure a complete freedom in the movement of goods, services, capital, and people. What is India’s Role in Pacific Alliance? A key area for collaboration for PA and India could be understanding the impacts of El-Nino and its common approach against this weather pattern. Countries dependent upon agriculture and fishing, particularly those bordering the Pacific Ocean, are the most affected by El-Nino. All PA states have coasts along the Pacific. PA is turning out to be an integrated market and it opens up opportunities for India in SMEs sector, trade facilitation, science & technology innovation and export of Indian pharmaceutical products. A combination of government initiatives and private ventures and diplomatic engagements have to be increased if we have to realise the full potential of India-LAC ties. India and Bangladesh have several Border Haats across the border. Border Haats (or rural market) aims at promoting the well-being of the people dwelling in remote areas across the borders of two countries. It seeks to establish traditional system of marketing local produce thorough local markets in local currency or according to barter basis. Though trade carried in this informal market is not significant in terms of percentage of bilateral trade, but these local measures help to improve economic well-being of marginalised sections of society. 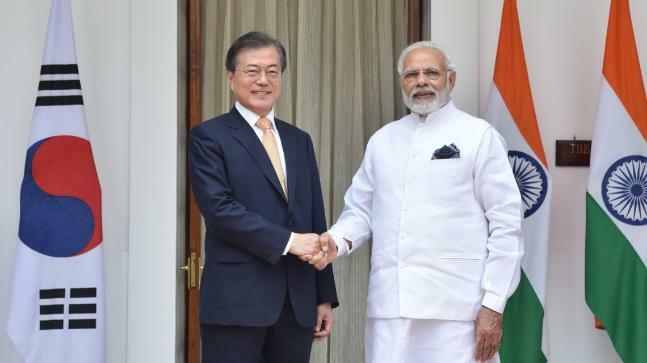 India and South Korea has launched a platform ‘Korea Plus’ to promote and facilitate Korean Investments in India. S. Korea wants to raise its relation with India to the level of four major powers i.e. US, Russia, China and Japan. India also wants to align India’s Act East policy with Korea’s New Southern Policy but ties have drifted for lack of focus. The large trade deficit in South Korea’s favour has led India to be wary of further opening up. In turn, Korean companies cite problems in doing business in India, despite a special “Korea Plus” desk set up by the Prime Minister’s Office in 2015. Tourism between the two countries has always been low, and strategically both New Delhi and Seoul are preoccupied with tensions in their immediate neighbourhoods and ties with the big world powers than with each other. Agreement to invoke the “early harvest” clause in the 2010 CEPA will allow both to do away with tariffs in 11 areas, benefiting Indian seafood exporters and food processing units, as well as South Korean petrochemical companies. The inauguration of Samsung’s biggest mobile factory in Noida will bring investment and create jobs in India. 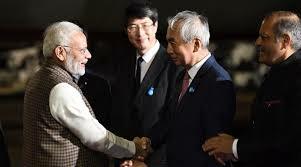 India has asserted its place as a “stakeholder” in the Korean peace process, while South Korea has for the first time shown an interest in talking about an Indo-Pacific policy. In the short term, a symbolic token towards shared interests will be seen in a joint “capacity-building” programme in Afghanistan. COMCASA is one of three foundational agreements that guide US high technology cooperation in defence sector with other countries. It was earlier called Communication and Information on Security Memorandum of Agreement (CISMOA) before name was changed to reflect its India-specific nature. Other two agreements are Logistics Exchange Memorandum of Agreement (LEMOA) and BECA. COMCASA is meant to facilitate use of high-end secured communication equipment to be installed on military platforms being sold to India by US to fully exploit their potential. 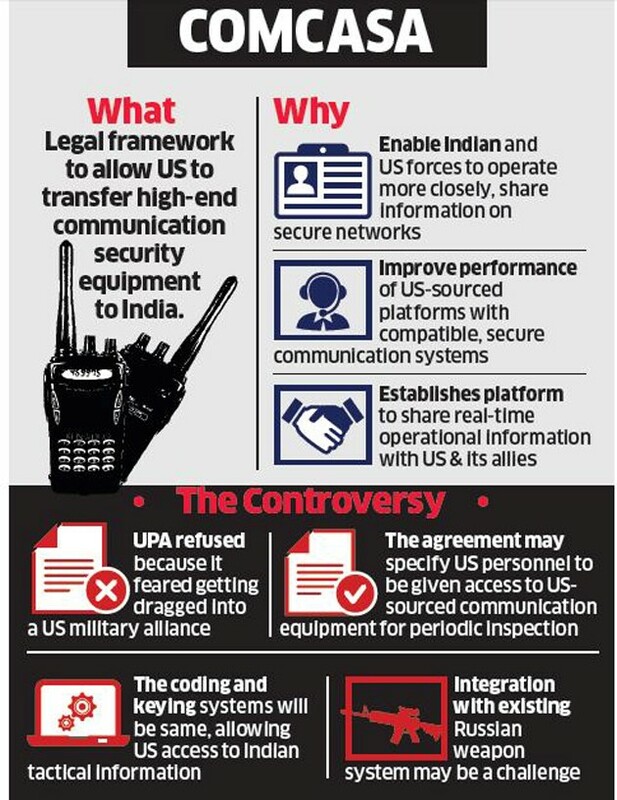 It essentially provides legal framework for transfer of communication security equipment from US to India that will facilitate interoperability between armed forces of both countries and potentially with other militaries that use US-origin systems for secure data links. Interoperability in this case means that there will be access to encrypted and secret technologies or communications. India is currently dependent on commercially available and less secure communication systems on high-end US defence platforms like C-130Js and P8I maritime surveillance aircraft. After initial reluctance of government and reservation of defence ministry, India has signed COMCASA. The agreement will give Indian military access to function on high-end secured and encrypted communication equipment which are installed on American platforms obtained by Indian Armed Forces. These platforms include C-130 J, C-17, P-8I aircraft, and Apache and Chinook helicopters. The agreement was pending for almost ten years. One of the major reasons for this was the fear that India may compromise its operational independence. Critics had also pointed out that the agreement could jeopardise India’s established military ties with Russia and access to their weapons systems. These agreements and Donald Trump administration’s decision to give India STA-1 status (Strategic Trade Authorization-1) shows the country’s importance in the US strategic calculus. It will enable Indian military to get a better picture of the Indian Ocean Region (IOR) which is seeing increasing Chinese movements. With COMCASA, Indian armed forces will get to fully exploit the capability of the military platforms procured from the US. For instance, the P-8I reconnaissance aircraft of the Navy which have emerged as a major force multiplier are currently operating at limited capacity. As a consequence of COMCASA, India will get access to Combined Enterprise Regional Information Exchange System, or CENTRIXS, which is the secure communication system network of the US. Navy ships with CENTRIXS on board can communicate securely with the U.S. Navy when needed and can benefit from the wider situational picture of the region as they have a large number of ships and aircraft deployed. This will reduce the stress on the assets and allow prioritising the deployments more efficiently. CENTRIXS consists of a collection of coalition wide area networks (WAN) known as enclaves” and is a “great enabler, allowing ship-to-ship operational dialogue between the two nations in text and web-based formats. It is believed that there are persistent concerns that this would allow U.S. Navy access to India’s own secure communication network and also that the information shared with the U.S. will be accessible by Pakistan. Data acquired through such systems cannot be disclosed or transferred to any person or entity without India’s consent. It is an enabling instrument and does not commit India to acquiring U.S. platforms.